With a growing payroll and plenty of youth close to major league action, the San Diego Padres are entering unexplored territory as they appear to be a franchise on the rise with very high hopes of success. Since joining Major League Baseball as an expansion team in 1969, the Padres have had a series of owners/ownership groups beginning with C. Arnholdt Smith (who did time for embezzlement and tax fraud). Most could not or would not make the kind of investment in the team necessary to achieve any kind of success. However, the current ownership group, led by executive chairman and first fan Ron Fowler, has entered into unexplored territory with the contracts offered to Wil Myers and Eric Hosmer. On the one hand, commitments like Myers’ six-year $83 million deal and Hosmer’s eight-year $144 million contract, make long-time fans a bit queasy, regardless of the players’ performance. Do those expenditures preclude further investment in big league talent or is this just the beginning of a commitment to play ball with the big guys? Of course, the Padres will never be able to play ball with the really big guys, like the Boston Red Sox, New York Yankees or Los Angeles Dodgers. However, teams like Houston Astros have proven that building a team through the draft and the Latin American market, in addition to the judicious addition of pricey but proven veterans can create a World Championship team. Although the draft provides an opportunity for lower and mid-market teams to build winners, it still requires some level of investment. Too often in the past, Padres’ owners even refused to ante up for top-level talent in the draft and instead compromised–with predictable results. That dynamic has changed dramatically as the current Padres front office has drafted the players they determine to be the best available and paid the price. Unfortunately, the current owners have had to make up for years of penny-pinching. Former owner John Moores did make a commitment to winning when he first acquired the team in 1994. That commitment led to the Padres’ second World Series appearance in franchise history. But problems in Moores personal life led to his sale of the team in 2009. A group headed by Jeff Moorad held the Padres hostage from 2009 to 2012 while trying to buy the team on the installment plan. In August 2012 Moorad dropped his bid, and MLB approved the sale to a group, which includes the sons (Kevin and Brian O’Malley) and nephews (Peter and Tom Seidler) of the O’Malley family. Walter and Peter O’Malley once ran the Dodgers, bringing Los Angeles fans 13 National League titles and six World Series championships. In 1998, the Padres payroll of just under $53 million ranked ninth in all of baseball with the Orioles leading the way at $72 million. Starting in the year 2003 Padres’ payroll ($48 million) began to stagnate and fell to 27th. Although payroll rebounded a bit in the next couple of years, by 2007 the team began to sink back toward the bottom. In 2009 and 2010, Padres payroll ranked 29th, in 2011 26th, in 2012 and 2013 27th. Under the current ownership group, payroll has begun to increase but still ranks only 25that $96 million. Much of that salary, of course, goes to Eric Hosmer, as Myers’ does not begin to make $20 million until 2020. After Hosmer, Padres’ player salary drops precipitously to Freddy Galvis’ $6.83 million. Thanks to the relative youth of the rest of the team, most players won’t even be arbitration eligible until 2020. As the Padres try to recover from a sub .400 winning percentage in 2018, the infusion of younger talent acquired under the current ownership group and GM A.J. 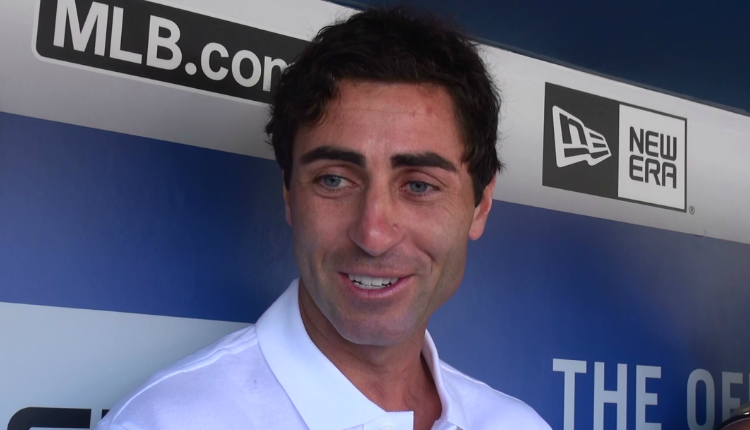 Preller has begun to arrive. Those young players will be inexpensive and thus help keep payroll low. The organization counts on those players to perform as expected and help the Padres become respectable. Will the Padres rely on youth alone or will the team be willing to ante up if and when the team begins to contend? Are the Myers and Hosmer contracts a sign of the Padres’ commitment to winning in the not so distant future or just an aberration? Will the team follow the example of the Astros in trading for Verlander and his $28 million contract? For the Padres, making that kind of commitment would be an aberration, a welcome aberration. Previous Could Padres & Mets Be Trade Partners This Winter? People think that building through the farm is cheap. It most certainly is not. We have about $50,000,000 invested in Tatis Jr. because we had to pay almost all of Shields contract. We also owe money to Phil Hughes this year and next in a deal where we took him on in order to acquire another draft pick. Couple these deals along with the $100,000,000 invested in international players and the cost of the farm system isn’t as rosy as one would think. Shields was still owed 58M at the time of the trade and AJ got the White Sox to pay 27M of that while getting a pitch and what it now their top prospect in Tatis. As for Hughes, the Twins paid all of his 2018 salary and more than half of his 2019 salary leaving San Diego on the hook for just short of 6M in 2019. Meanwhile they drafted Grant Little with the comp B pick 74th pick and he’s already in the top 30 (27) of an already stacked farm system. Padres’ payroll will drop significantly next year when the dead money drops of the books (James Shields’ $11 million and Chase Headley’s $13 million). If Preller doesn’t re-sign Galvis, it will drop by another $7 million. Trading away Hand also saves another $6.5 million from next year’s payroll. It will be interesting to see what the Padres do with this $30+ million in savings, if anything. My guess is paying for a veteran pitcher. The Padres opening day 2018 was about 101M. Figuring where they are at currently with estimated arbitration amounts including dead money is Just short of 77M. Who knows what the next 8 to 10 weeks bring but there is no reason why the payroll isn’t going to,be close to the 100M mark for opening day 2019. Dead money remaining is 6M Hughes, and 7.5M Olivera In 2019 and 8.5M in 2020 for the last bit of Olivera. Choke indeed. The Shields signing I understood, as the team trying to build a contender from scratch. But Myers and Hosmer were unforced errors.